When I first rediscovered the joys and practical benefits of writing by hand, I was very frustrated the poor state of my penmanship. It was not very good to begin with, and with lack of use it deteriorated to an embarrassing level. Here is an entry from my first bullet journal in September of 2013. Before: Kind of a train wreck. It's not Myke Hurley territory, but certainly more than a little rough on the eyes. It's also kind of funny how I start off trying so hard and then by the end of the day it has completely gone off the rails. 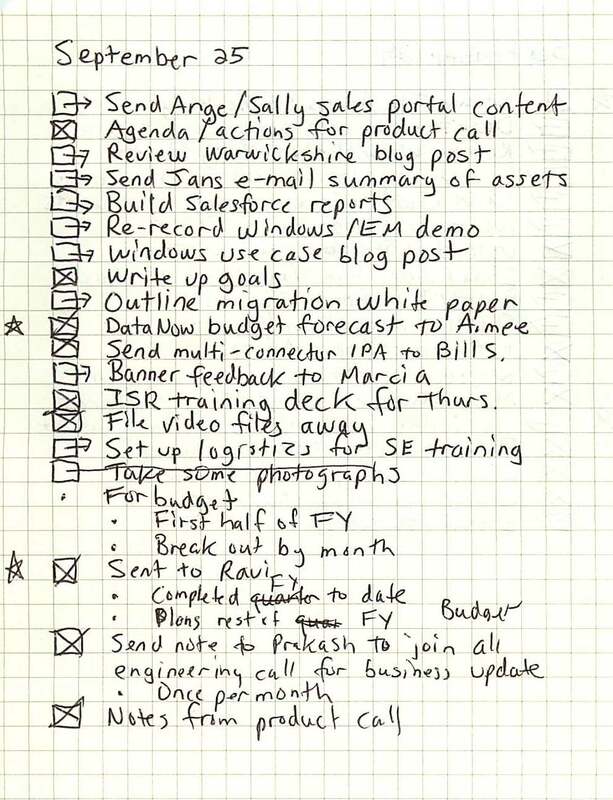 Eventually, I realized that I was in bullet journaling for the long haul, and I even began contemplating some written correspondence. However, I was held back by self-consciousness about my poor penmanship. I set out online to look for information about "correct" penmanship. What I discovered is that there are actually many types of penmanship. Some great penmanship is "by the book" in various time-tested styles. In other cases, people develop great penmanship by seeing something they like (which may not fit a formal classification), coming up with their own spin on it, and practicing until they are happy with it. In my case, I wasn't looking to make an artistic statement or dazzle anyone with my handwriting. I was really just shooting for respectability. It appeared much more legible to me than the style of the cursive writing I learned in school. If, by some miracle, it did take hold for me, it could be a stepping stone to some basic calligraphy. Based on little more than a title that sounded about right and some good reviews, I picked up "Write Now: The Complete Program For Better Handwriting" on Amazon. 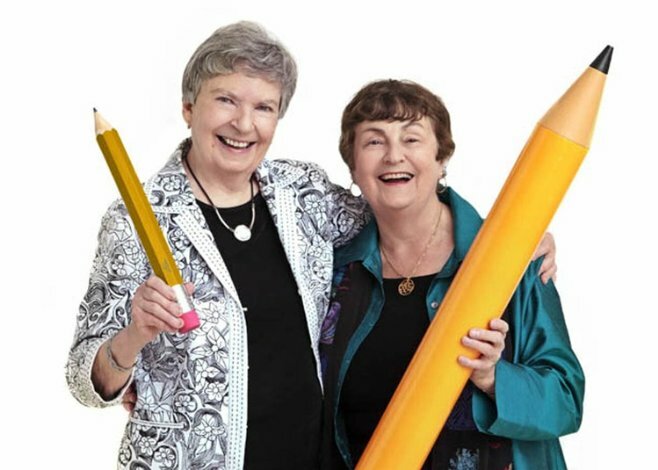 Written by Barbara Getty and Inga Dubay (who apparently roam the streets wielding extemely large pencils), "WriteNow" uses a workbook-style approach. The first third of the book starts off with basic printed italic, and then the remainder brings you along into cursive italic. My level of handwriting decay was such that I actually needed to augment the worksheets in the book with some additional repetition on my own paper. However, there was some upside to this. This was right around the time that I was falling down the fountain pen rabbit hole. My handwriting exercises were a great opportunity to experiment with my early fountain pen, ink, and paper purchases much more intensively than my normal daily writing needs would have required. There was also something oddly relaxing about writing without having to use my brain too much after a long work day. It's not exactly textbook cursive italic, but I've reached a point where I can move along at comfortable pace with cursive-style writing in my journal entries and end up with something reasonably legible. Will improving my handwriting a bit go to the top of my list of life accomplishments? Probably not. However, I do find that the my handwriting progress has increased my overall level of creative confidence. 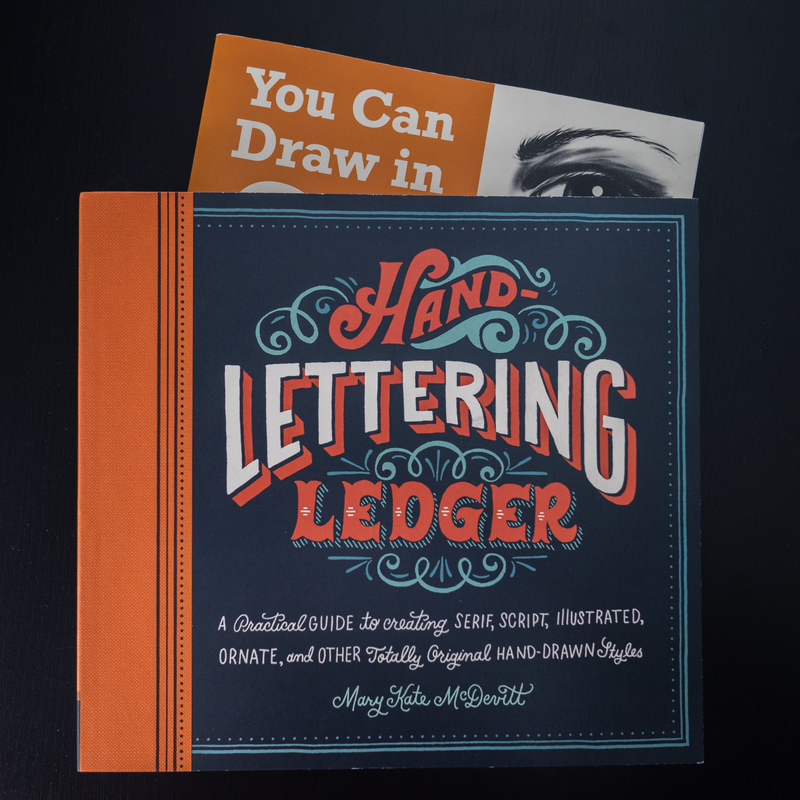 “Hand-Lettering Ledger” by Mary Kate McDevitt and “You Can Draw in 30 Days” with Mark Kistler. For example, I would love to become competent at sketchnoting, but my drawing and hand lettering skills are even more laughable than my penmanship. While in the past I probably would have told myself "that's for artistically talented people," my baby steps with handwriting have me thinking that maybe drawings that don't embarrass me are within reach as well. To that end, I recently took the next step and purchased a couple of introductory drawing and hand lettering books. Anyone want to join me? I need some other embarrassing before/after examples to post besides my own. Feel free to get in touch through my contact page.